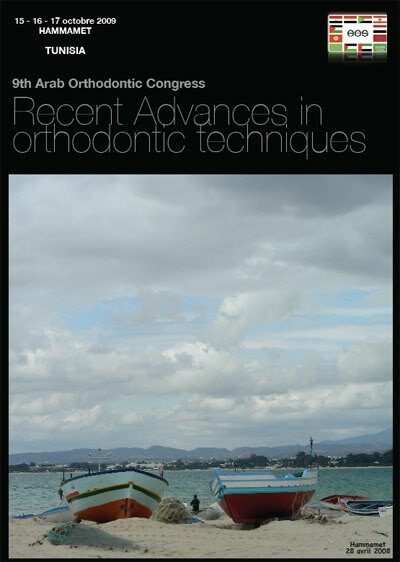 Fourteen years after the 2nd Arab Orthodontic Congress, we have the privilege of organizing the 9th Arab Orthodontic Congress in Hammamet, in October 2009. In 1995, we strived to create a strong Arab event which would enable every orthodontist to share his or her knowledge inside and outside the Arabic area. Four years later, we can indeed see that this dream has almost come true. First of all, the most talented speakers in this specialty are going to participate in this congress. They will come from all parts of the world to satisfy your eagerness for the latest orthodontic developments. Then, I can assure you that The Medina Convention Centre with its communication systems and facilities will meet your expectations and maximize the value of your presence. In addition, the attendance of the 9th AOC will produce unforgettable memories while you fully enjoy Oriental evenings and traditional delights. My team and I are thankful for this joint accomplishment which will undoubtedly lead us a step further. We look forward to welcoming you once again in Tunisia, this time in Hammamet. We hope you will come in October 2009.